Q. Why should architects and building engineers select a new HVAC system using R410a – a non ozone-depleting refrigerant? A. Because by selecting R-410a you eliminate the possibility that refrigerant leaking from your system will contribute to the hole in the ozone layer. R410A contains no chlorine, it is ozone and climate responsible. Plus, R410a allows higher efficiencies than R22, it not only makes sense environmentally — it also makes sense from an economic standpoint, too! Q. What is the US Governments position on R410a? A. Production of R22 in the United States is scheduled for termination in 2015. R410a is the best alternative to R22 available today. Q. Why do HVAC systems using R410a need special high pressure valves? A. Systems using R410a refrigerant operate at pressures approximately 1.6 times higher than systems using R22 or R407c. Water cooled systems, utilizing R410a refrigerant, demand special regulating valves to manage the heat transfer process. Q. 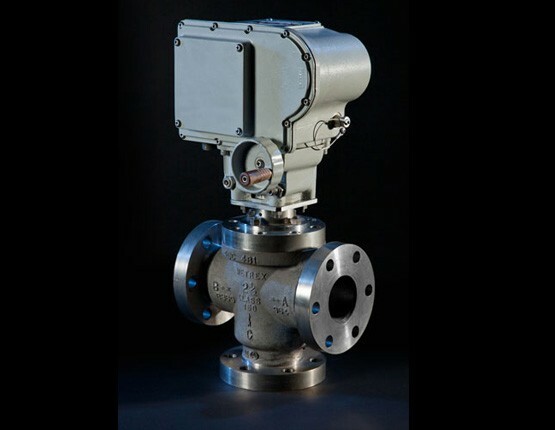 What if we have a special R410a control valve requirement? A. Metrex has many off-the-shelf R410a high refrigerant pressure regulating valve solutions. Our experienced engineers can design or modify existing valves to meet all your R410a system requirements. Q. Can I get valves for more than 150 psi inlet? A. Of course! See either Commercial & Industrial Buildings & Products or High Pressure Water Sides. Q. Can I get valves with high refrigerant R410a? A. Indeed! See either Standard Service or High Refrigerant Pressure valves. Q. How do I size a valve? A. If you know how many gpms you need, divide it by the Cv squared (Cv2). Or, check out one of the following: Metrex Matrix, About Our Valves or Sizing A Valve. Q. Do you have valve repair kits? A. Yes - Call our Customer Service Department at 1-800-266-4027. Also, see our Valve Repair Kits or Contact Us pages. Q. When I replace bellows do I need gaskets? A. There are no gaskets. Isolate the water supply, unscrew the old bellows and replace with new bellows. See our Valve Rebuild Kits page. Q. Do I need to shut down the system? A. No, isolate the water supply. Q. Can I install valve upside down, downstream or upstream, inside out? A. Please see our About Our Valves or Install Schematics PDF pages linked to each valve. Q. Can I buy valves directly from Metrex? A. Yes - Call our Customer Service Department at 1-800-266-4027 or see our Contact Us page. Q. Do you have a distributor in my area? A. Call our Customer Service Department at 1-800-266-4027 or see our Contact Us page. Q. Can I download tech manuals and drawings? A. We have some drawings, but no tech manuals. Please call our Customer Service Department at 1-800-266-4027 or see our Contact Us page. Q. How did Metrex get such great customer service gals? Q. How long has Metrex been in business? A. See our About Us page. Q. Why should I do business with Metrex? A. See About Us page.